Export your business account information into Quicken and QuickBooks! Quicken and QuickBooks make it easy to manage your spending, stay on top of day-to-day finances, and stick to a budget. Easily create profit/loss and cash flow reports, so you’ll always know how your business is performing. Select “Account Summary” and then click the account link to display the “Account Detail” screen. Click the “Export File” link either from the navigation bar, the left hand frame or by using the ‘mouse-over’ function. The Export File Page displays the account you were viewing on the Account Detail page. Select the Account from the drop-down list box. Select the Export format from the drop-down list box. If you choose either the QIF or IIF format, you will need to select the Reconcilement option. Select either “All New Transactions since Download” or “Only Transaction On or Between These Dates”. Fill in the Starting and Ending Dates if applicable. When you click the “Continue” button, a Confirmation page is displayed. The file export information is shown along with the confirmation number. Click the Download File button to complete the process. A browser dialog box will display, and walk you through the process of transferring the data files to your financial management program. 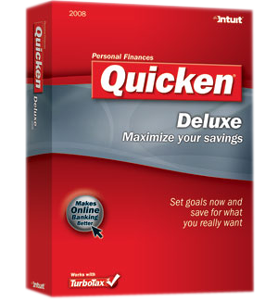 Note: If you have chosen .OFX for Quicken™, click the Quicken™logo to download. For help on this process, click the Help button to open the Intuit Help site. If you have chosen .OFX for Money™,click the Money™ logo to download. For help on this process, click the Help button to open the Microsoft Active Statement help site.